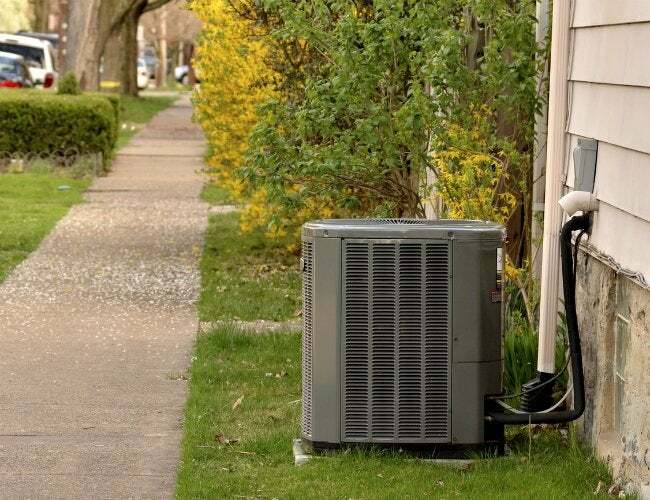 Save money and lengthen your AC unit’s life with this simple maintenance operation. 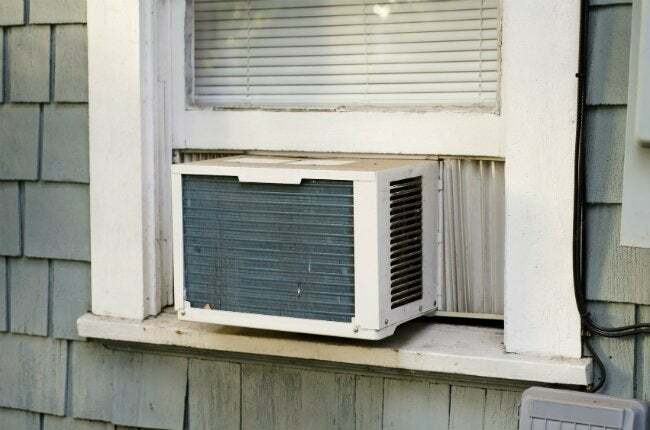 During the hottest days of the year, it’s likely that you rely heavily on an air conditioning unit—be it targeting your room from a windowsill or cooling off the whole-home—without considering what makes it tick. Your AC condenser coils are where the magic happens: Here, the refrigerator unit in your go-to seasonal appliance absorbs heat to make the air cooler. As air passes over the cool refrigerant, it wicks the heat out in a process that’s essentially the reverse of how your forced air furnace operates. Now, the cleaner the surface area of those coils is, the more efficiently the machine works. Dust and oil that accumulate over time can create a blanket over the coils—one that, just like the blanket on your bed, impedes heat transfer and makes your AC less efficient and more expensive. Fortunately, the hardest part to cleaning air conditioner coils is remembering to set aside the time at least once a year. The process takes less than half an hour, but better schedule a full hour so you don’t feel like you’re rushing through the job. For window ACs, you’ll need to access the end that sticks out of the house in order to reach the coils; central air units typically keep the coils behind a removable panel that you should unscrew in order to continue. Check your operator’s manual if you’re unclear—the specs diagram will identify exactly where the coils are and the process to remove the cover, if applicable. Remember: When in doubt, trust the manufacturer. They built it. They know how to take it apart. Visually inspect the coils for any large debris like leaves, spider webs, or clods of dirt. Remove these by hand, then dust off the coils using a coil brush. Available at most big box hardware stores and AC shops, this specialty cleaning tool (also known as a soil brush) features bristles with stiffness about halfway between a hand broom and a wire brush. Lightly guide the brush parallel to the fins on the coils in order to avoid bending them. This isn’t a deep scrub—you’re simply knocking off loose dust and hair. Did you notice many bent fins on your coils in Step 2? (Hint: Bent fins will reflect light and often put a bright sheen to parts of the coils.) If so, running a fin brush slowly and parallel to the line of the fins could straighten them out. This will improve the performance of your AC unit by increasing the exposed surface area for the coils. If you don’t want to invest in a piece of specialized equipment like the fin brush (which can be purchased for $15 or more online), go ahead and skip this step. Correcting bent fins goes above and beyond the task at hand—cleaning the coils—from which you’re machine will already receive an efficiency boost. Rinse the coils on any outdoor central AC unit by spraying with water from your garden hose. If your unit is indoors, you can avoid a puddle beneath your window altogether by opting for a slightly pricier “no-rinse” type of coil cleaner and moving on to Step 5. Shake the can of foaming coil cleaner—either the standard or a no-rinse version—and spray it directly into your coils so that none go uncovered. The cleaner should foam immediately, filling the air between coils where grime accumulates, until each section of your coils is hidden from view. The foaming lifts off all the unreachable dirt and grime embedded in between the fins. Let the cleaner soak for five to 10 minutes, according to the instructions on the can. If the cleanser specifies, rinse off the foaming cleaner using your hose. You will need good water pressure and slow, back and forth motions to thoroughly rinse the cleanser off. Indoor units cleaned using rinse-free cleaner simply need to start up; the condensate will rinse off the cleaner on its own. Though some of the more unscrupulous AC service companies will say you need service two or three times per year, most experts agree cleaning your coils once a year is plenty. For best results, do it in the spring, immediately before the summer heat starts to demand your air conditioning perform at peak potential.